Today, i just updated adium to version 1.4.1 in my macbook. Then i see version history of adium. I just found out that adium has support twitter account. So let’s give it a try. Go to preferences->account, than select twitter account. New window will be appear. 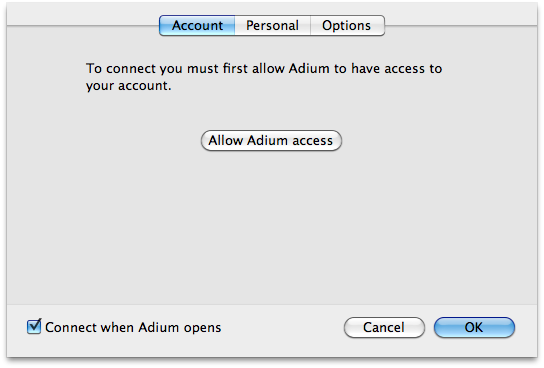 We have to allow adium access. Just click the button. It will open twitter authentication on new browser window. 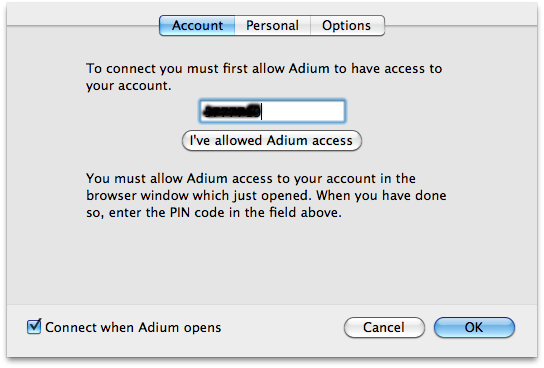 And than, a new PIN will be generated by twitter for allow adium access. Just type it on the adium. And, done! Now you can customize option for this twitter account. 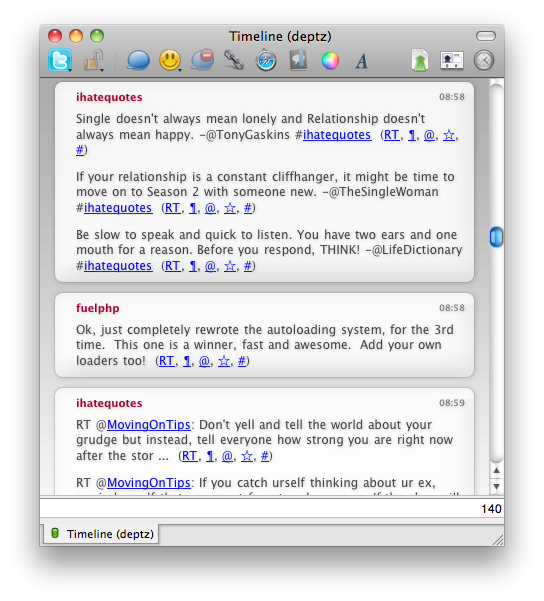 Screen shot below is preview of my timeline.